PGIMER Admit Card 2019: Candidates aiming to take admission in Postgraduate Institute of Medical Education & Research (PGIMER), Chandigarh for admission into MD/ MS/ DM/ MCh/ MHA medical courses will have to give PGIMER 2019 entrance test. In order to appear in examination, candidates need to carry PGIMER Hall Ticket to the examination center. The hall ticket is very necessary document to be produced during the exam at the examination center as it contains the detail like candidate’s name, roll no, application no, exam venue & its address, course applied etc. Here we have discussed how to download the PGI Chandigarh Entrance Exam Admit Card, exam date, admit card release date etc. Check PGIMER 2019 Exam Date along with admit card release date here. Follow the listed procedure to download the admit card as per course who have selected. Search for Admit Card Download link in “Information for Candidates” section and click on that link. Enter the login details like Application no, Password & Security Key and then click on “submit” button. 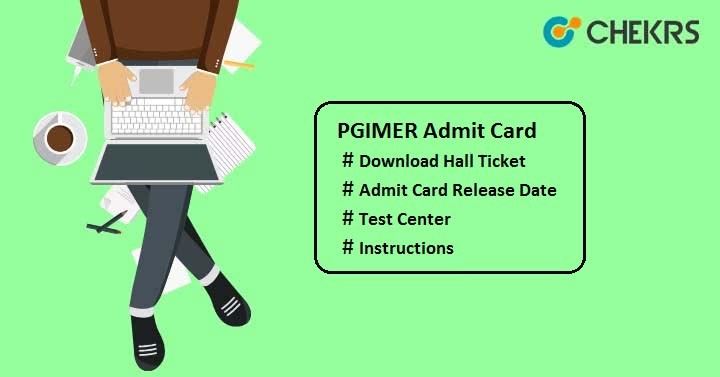 Your PGIMER 2019 Admit Card will appear on your screen. Save the admit card for future references. The admit card will be provided to those candidates who will submit their application in a successful manner and satisfy the eligibility in all aspects. Candidates are advised to check all the information printed on the admit card. If there is any problem, then contact to the concerned authorities of PGIMER, Chandigarh via mail or helpline no. Must arrive at the examination center 1 hour before the starting of examination. Take 2 or more copies of admit card as it will be required at the time of counselling. Hope this article will be helpful for all viewers. For any query related to PGIMER PG Admit Card, you may ask in the below comment section. We will help you for sure. Wishing you all the best!! !